In recent years many cities, counties, states, and provincial governments have enacted legislation commonly known as Breed-Specific Laws. Most people do not understand the implications of these laws, and may mistakenly believe they apply only to Pit Bulls. As it relates to pet travel, the effects can range from annoying to killer – literally. During a vacation is not the time to find yourself on the wrong side of the requirements. We want you to travel with your pets, and to do that safely you must understand how wide spread Breed-Specific Laws are, and how serious the consequences can be if they’re violated. 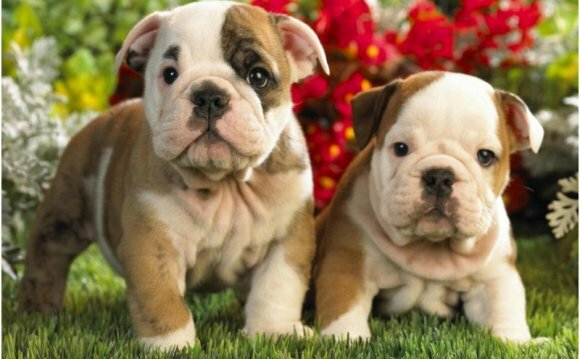 Breed-Specific Laws vary greatly by jurisdiction and restricted breeds include Akitas, American Bulldogs, Chows, German Shepherds, Huskies, Mastiffs, Rhodesian Ridgebacks, Rottweilers, Shar-Pei, and more than 100 other breeds of dog. In addition, some statutes include very broad language, restricting mixes of any of the targeted breeds, and dogs that look like the targeted breeds. What you need to do to comply with the laws also differs significantly from place to place. Some jurisdictions require restricted breeds to be muzzled when in public, others require owners to carry liability insurance, and some – like Denver, CO and the entire province of Ontario – actual ban the breed from the municipality entirely. Penalties for non-compliance range from fines, to jail, to the confiscation and execution of the dog. If you will be traveling to or through a jurisdiction with a breed specific law, call the local animal control office to get the most current information about the restrictions and requirements. If your dog looks like one of the affected breeds, you might consider carrying DNA results from your vet proving your dog’s lineage. Remember that these websites may not be completely current as the laws are changing constantly, so plan for the unexpected. If your dog is an affected breed, or could be mistaken for one, always be prepared to comply with muzzle, leash and proof of insurance requirements. If you find that you have inadvertently violated a breed-specific law, be polite and do your best to bring yourself and your dog into compliance – even if that means immediately leaving the jurisdiction. We at GoPetFriendly.com strongly oppose Breed-Specific Laws. Laws that discriminate against particular breeds of dogs equate to race discrimination and are completely unacceptable. There is no evidence that breed specific laws are effective in preventing dog bites, but there is evidence that they have resulted in the senseless killing of thousands of homeless animals and beloved pets. We believe that enacting aggressive dog laws that are not biased toward a specific breed result in more enforceability and are less prejudicial. We are particularly opposed any law resulting in the confiscation and execution of a dog that has done no harm.